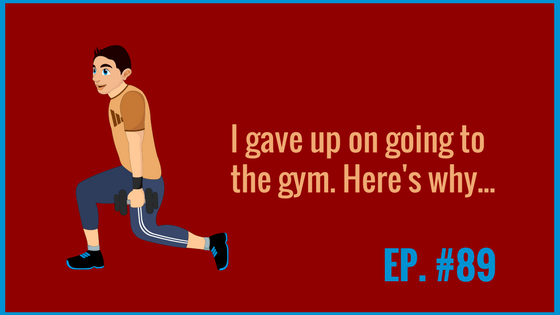 For years I have had an on-and-off again relationship with the gym. Believe me, I know the importance of staying fit. Having a healthy body makes just about all other aspects of life easier. But after maintaining a long gym routine, sometimes even for a year or more, I would always find a reason to stop going. Something would change in my life so I would take a week off from the gym, which would turn into two weeks, then a month, then I’d realize I hadn’t been in months. And that’s what happened recently. So I am trying something different, because, well, it’s time. I found a book at the library (yes, the library) called “You are Your Own Gym: The Bible of Bodyweight Exercises” by Mark Lauren. And so far I’m thrilled (very excited). In this episode, I am going to tell you the 5 main reasons bodyweight exercising looks promising, and maybe it’ll be something you can try out too!